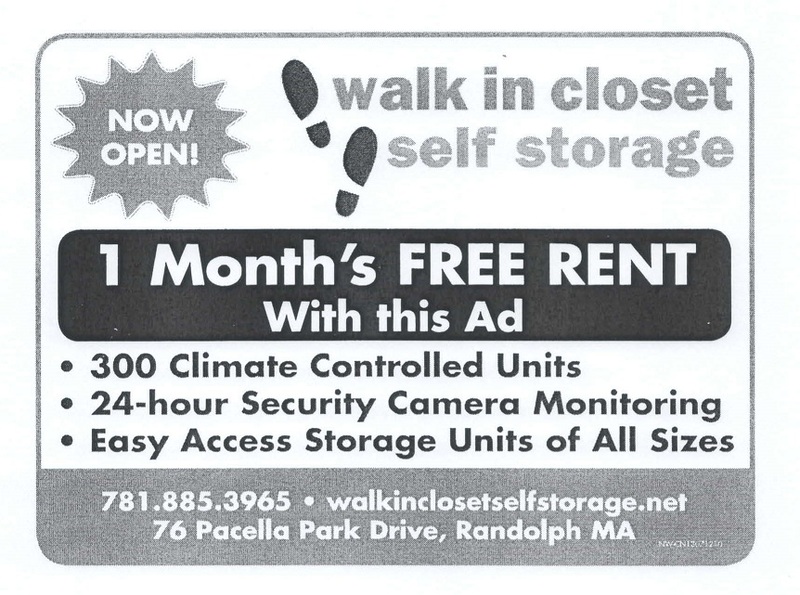 One Month’s Free Rent Walk In Closet Self Storage Randolph! Get One Month’s Free Rent Walk In Closet Self Storage Randolph! Print out this ad and bring it in to receive your free month! Walk In Closet Self Storage is now open in Randolph.